WE ARE ALL SAFE & SOUND IN SUMBA! Earthquakes, tsunamis, and wildfires, oh my! We are safe in Sumba, although in recent months we have had to prepare for the possibility of earthquakes and tsunamis as neighboring islands have suffered dearly from these calamities. Also, the concern of the dry season here is the threat of wildfires on adjacent properties. Agriculture techniques, and their other rubbish; farmers in the area routinely utilizing “slash and burn”; these fires can get out of control and threaten the safety of our home. Our efforts enable us to minimize the impact of these calamities on the Sumba Hospitality family. Earthquakes, tsunamis, and forest fires, oh my! We are safe on Sumba, although over the past few months we have to get ready for the possibility of an earthquake and tsunami because the neighboring islands have suffered greatly from this disaster. Also, the concern in the dry season on Sumba is the threat of forest fires on adjacent properties. Farmers in the area routinely use “slash and burn” agricultural techniques, and others burn their waste; These fires can be out of control and threaten the security of our homes. Is the preparatory effort enabling us to minimize the impact of this disaster on the Sumba Hospitality family. Using the money tips students are earned, and accompanied by staff, all students travel to Weekuri Lagoon (“Lake Weekuri”) for lots of sun and fun. Nearly every student “walked the plank” (a six-meter high diving board) and dropped into the water below. It was a wonderful staff and student bonding event. Fun was had by all! In true SHF spirit, we also have a walk as part of our green planet, picking up trails, others left behind at the Lagoon, leaving this beautiful place better than when we arrived. Using tips obtained by students, and accompanied by staff, all students go to Laguna Weekuri (“Lake Weekuri”) to enjoy the sun and have fun. Almost every student “walks on the board” (a diving board as high as six meters) and falls into the water below. It is an extraordinary program of friendship and bonding. The pleasure belongs to all! 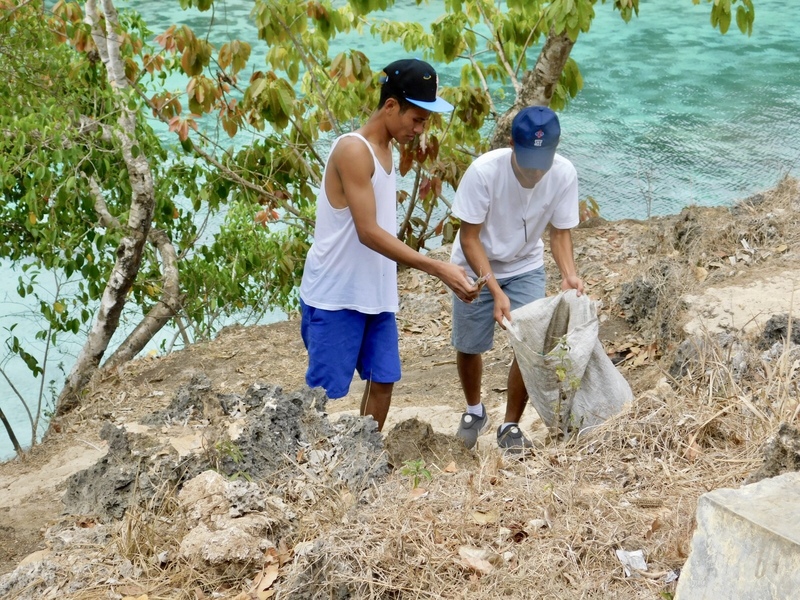 In the spirit of true SHF, we also travel junk as part of our green initiative and to protect our planet, taking the garbage left by other people in Laguna, leaving this beautiful place better than when we arrived. At SHF, volunteers are the life-blood of our organization. Through their generous donations of time and energy, our students are enriched with new knowledge, skills, and confidence. Our volunteers come from all over the world and we are so blessed to have them. Won’t you join us? Dates are flexible, and basic, shared accommodation and meals are provided. Please send us an email at recruitment@sumbahospitalityfoundation.org with your CV, one-page letter of interest, including availability. We hope you will become a part of the SHF family! At SHF, volunteers are the lifeblood of our organization. Through their abundant contribution of time and energy, our students are enriched with new knowledge, skills and confidence. Our volunteers come from all over the world and we are very blessed to have it. Will you join us? Dates are flexible, and basic, shared and food accommodations are provided. Please send us an email at recruitment@sumbahospitalityfoundation.org with your CV, a one-page interest letter, including availability. We hope you will be part of the SHF family! 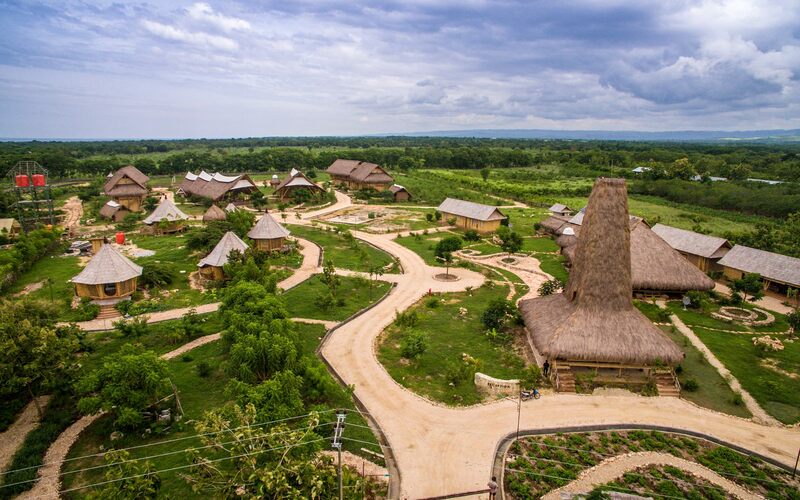 Through an amazing partnership with world-renowned, number one-rated eco-resorts, Nihi Sumba, our students at SHF have excellent opportunities to showcase their talents and learn new skills. 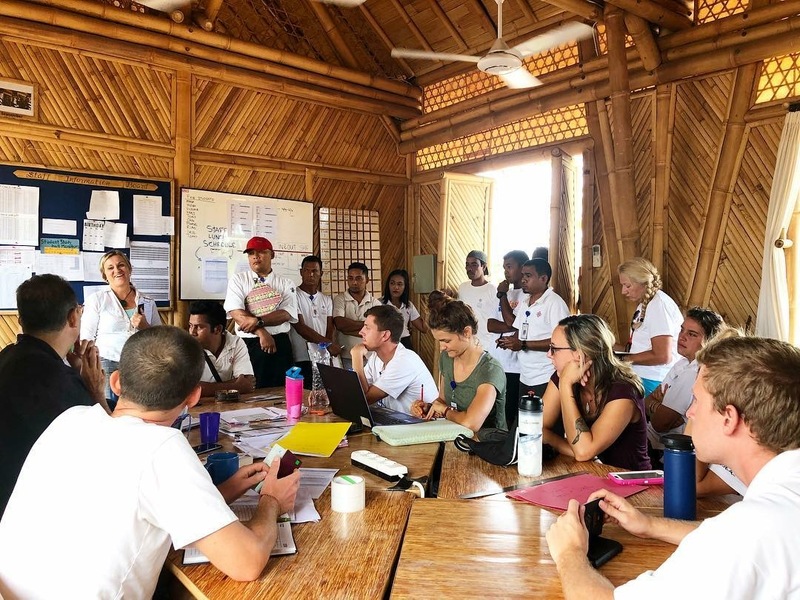 Students travel in groups of four every two weeks to spend working time the professionals at Nihi Sumba. At the end of October, we sent Riski (Culinary), Diana (Front Office), Toni (R & B), and Randy (Housekeeping) to attend this important training component of our students’ journey at SHF. 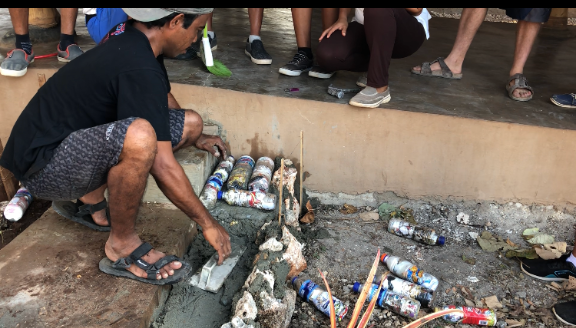 Through an extraordinary partnership with the number one eco-friendly resort in the world, Nihi Sumba, our students at SHF get an excellent opportunity to show off their talents and learn new skills. 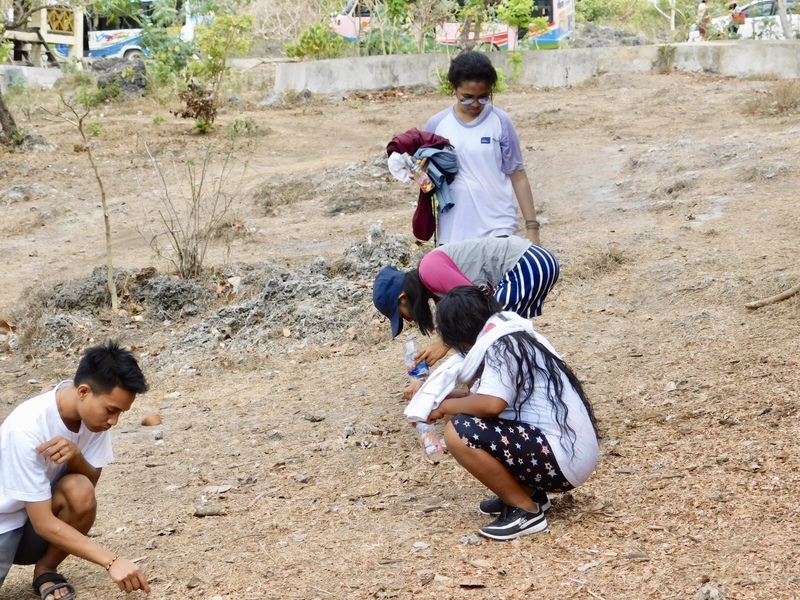 The students travel in groups of four people every two weeks to spend time by hiring professionals at Nihi Sumba. At the end of October, we sent Riski (Culinary), Diana (Front Office), Toni (R & B), and Randy (Housekeeping) to start this important training component from the journey of our students at SHF. Here at SHF we are committed to reducing our global footprint. One way we accomplish this is to reuse our rubbish, mainly plastic, by turning non-recyclable rubbish into … ECO-BRICKS! Eco-bricks are amazingly strong and reliable building materials that reduce construction costs and use rubbish that cannot be recycled. We most recently used eco-bricks to expand the steps leading to our culinary facilities. Eco-bricks can be used in lieu of gravel to make steps, paths, foundations, and can replace clay bricks in walls. We are welcome any ideas you may have to further reduce our global footprint! Here at SHF, we are committed to reducing our global footprint. One of our ways to achieve this is to reuse our waste, especially plastic, by converting waste that cannot be recycled into … ECO-BRICKS! Eco-bricks are bricks as building materials that are extraordinarily strong and resilient which reduce construction costs and reuse waste that cannot be recycled. We recently used eco-bricks to enlarge the steps to our culinary facilities. Eco-bricks can be used instead of gravel to make steps, paths, foundations, and can replace clay bricks on the walls. We welcome every idea you might have to reduce our global footprint! In October, our students are learning and practicing how to create documents, including organizational charts, restaurant menus and others, using Microsoft Office programs. Having an essential computer skills is just one way we can prepare our students to be successful in their careers. These new skills are just one of the many areas covered in our Life Skills class. We aim to have a graduate student with a well-rounded education to best prepare them for the future! In October, our students spent time learning and practicing how to make documents, including organizational charts, restaurant menus and more, using the Microsoft Office program. Having important computer skills is one way we can prepare our students for success in their careers. These new skills are just one of the many fields covered in our Life Skills class. We aim that our students graduate with comprehensive education to prepare their best for the future! At the end of every newsletter, we let our supporters gain more exposure as well as different perspectives on the Sumba Hospitality Foundation. This month, we are showcasing one of Indonesia’s largest news broadcasters, MetroTV, who filmed a segment during our graduation ceremony in 2018! With the help of @rizalmusicofficial, SHF students were able to create their own authentic MUSIC ALBUM in just 2 days! Most of the songs were written by our own students on their free time. 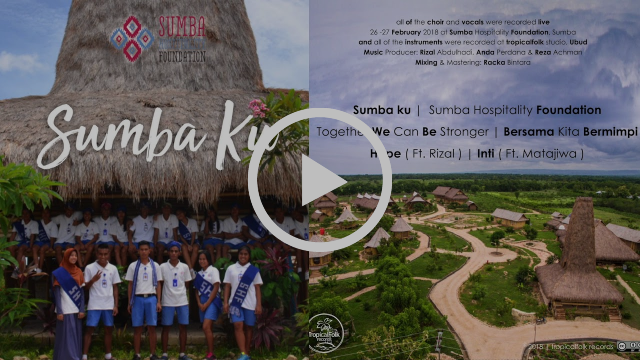 Listen and share to support this wonderful project and the island of Sumba ? Copyright © 2018 sumba hospitality foundation, All rights reserved.